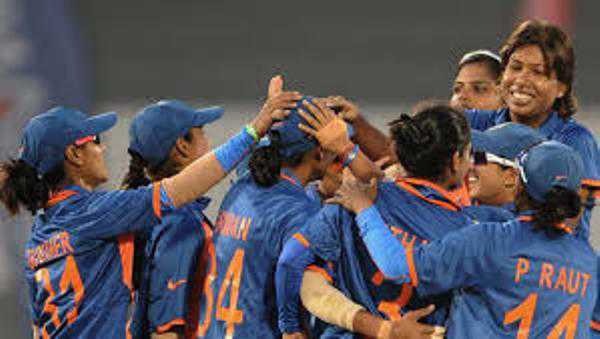 Providence:Indian women cricket team is all set to take on New Zealand in their opener in the first-ever standalone ICC Women's World T20 tournament here on Friday. The Indian team, who is a 50-50 World Cup (2017) finalist, is looking to make their mark in T20I as well. So far, in five editions of the tournament, India have made it to semi-final twice (2009 & 2010). While in the last three events, they have made exit in group-stage.In the run-up to the main event, they have defeated host and defending champion West Indies and strong English team in warm-up games, respectively. This is the first T20 World Cup that India will play without their senior player Jhulan Goswami who quit the T20 format. Without Goswami, Indian pace department is looking weak. However, in the absence of an experienced seam attack, captain Harmanpreet Kaur will be banking on spinners as the spin department has been our strong weapon for a long time. Ekta Bisht, Anuja Patil and Poonam Yadav would be assigned the responsibility of controlling opposition batswomen.Leg-break bowler Poonam Yadav has been in good touch. Her googly can confuse the Kiwis. On the other hand, Indian batting line-up is looking strong. Wicketkeeper Smriti Mandhana has impressed the cricket fraternity with her batting in Women's Big Bash League in Australia and the Women's Cricket Super League in England. Experienced campaigner Mithali Raj who is still going good can play a big role with Kaur. Another wicketkeeper Tanya Bhatia and Teenager batswoman Jemimah Rodrigues will be looking to make their mark. Kaur, one of the best strikers of the ball in the women's game, is known to be aggressive on the field. She plays her best when she's fired up ? like, for example, during her brilliant 171* at the ICC Women's World Cup 2017 semi-final against Australia. However, Kaur admits that she needs to be relaxed. "Earlier, I was always aggressive on the field. I have learned how I can stay calm. Because, now it's not just about how I am playing for my team, but how can I [inspire] performance from other players also," she explained, Kaur said, on the eve of India's opener. ''So, sometimes, even when things didn't work out for me, I have to think about the other players also,'' Indian captain added. Both teams are in Group B- Australia, Pakistan and Ireland. Group A features defending champions West Indies, England, Sri Lanka, Bangladesh and South Africa.Top two teams from each groups will feature in semi-finals.The semifinals and final will be played at North Sound in Antigua, with the title clash scheduled for November 25. Squad: Harmanpreet Kaur(c), Smriti Mandhana, Mithali Raj, Jemimah Rodrigues, Veda Krishnamurthy, Deepti Sharma, Taniya Bhatia, Poonam Yadav, Radha Yadav, Anuja Patil, Ekta Bisht, Dayalan Hemalatha, Mansi Joshi, Pooja Vastrakar, Arundhati Reddy. New Zealand squad: Amy Satterthwaite (c), Suzie Bates, Bernadine Bezuidenhout, Sophie Devine, Kate Ebrahim, Maddy Green, Holly Huddleston, Hayley Jensen, Leigh Kasperek, Amelia Kerr, Katey Martin, Anna Peterson, Hannah Rowe, , Lea Tahuhu, Jess Watkin.